Before 1964, young Filipinos were told and taught that there were no other choices except to study, graduate, get a job, work hard and hope for success. The young workers were told to be happy with the pittance they receive. The young farmers were told to feel lucky the landlords allowed them to till the land and to get loans at usurious rates. Young Filipinas were told they were “pambahay” and “pangkama” only. Before 1964, young Filipinos were told and taught they have no role in society and made to forget the young heroes who helped forge a new nation a century before. 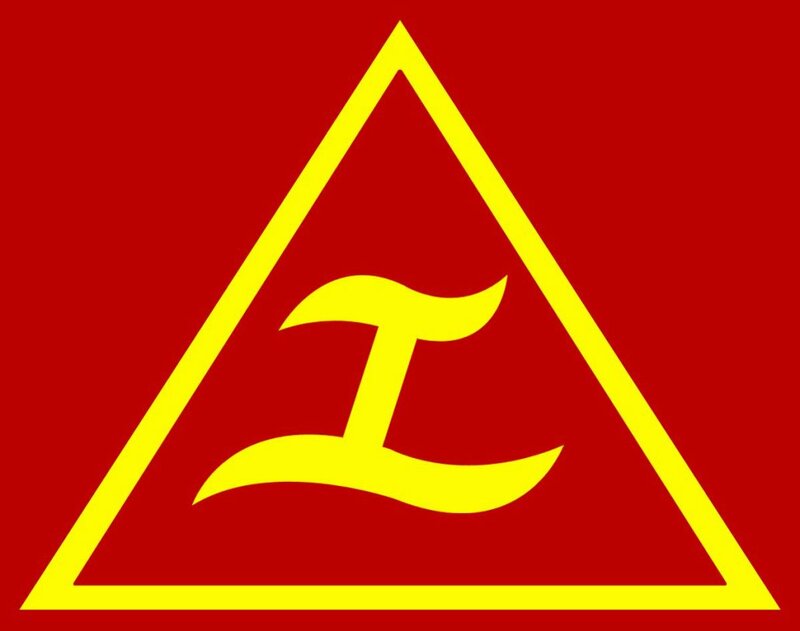 Kabataang Makabayan has rocked and challenged Philippine politics since 1964. 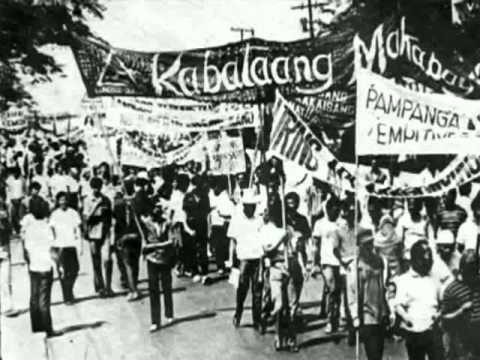 The establishment of Kabataang Makabayan on Nov. 30, 1964 signaled the end for these false choices. KM bannered a new choice for the youth: To give their best for and learn from farmers and workers, and in so doing created a powerful national and democratic movement that challenged the rotten system. KM honored and reminded the nation about Andres Bonifacio and other heroes and their unfinished revolution. For the first time since that revolution, young people were called to become activists and revolutionaries. KM introduced and popularized the three “isms” – imperialism, feudalism and bureaucrat capitalism – and thus educated the public on the root causes of the never-ending crisis and lack of fairness in the country. Hindi pala tadhana, gulong ng palad o sumpa ang problema ng bayan. For KM, the problem is not the people, especially the masa. For KM, the real problem is the rotten system that favors the elite few and foreign interests. For KM, the people, especially the masa, will save this country by changing that system. KM captured the imagination of the best and brightest students and young people of the 1960s and 1970s. No other modern political movement in the last 50 years could match the KM’s breadth and diversity of membership and historic role in radicalizing the Filipino youth. The roster of KM’s heroes and martyrs is long and glorious. They dominate the names installed in the Bantayog ng mga Bayani. KM promoted the national language and the national dialects — producing newspapers, polyeto, publications, streamers, posters, street plays, songs in languages people understood. Before KM, the default was to limit political discourse in English and likewise limit politics only to the educated and the elite. The popularization of political, economic, cultural and social issues using the national language and national dialects helped radicalize and politicize Filipinos nationwide. KM is also arguably the “ninuno” of all modern NGOs and POs. KM encouraged the formation of all sorts of organizations from 1964 onwards, whether in schools, factories, farms and communities. A great example is KM Women’s Bureau. It led to the formation of Makibaka. Beauty queens, women students, women workers and peasant women would soon join these new women’s groups, form new ones like Gabriela, and many would later find their way to the provinces as Amasonas, Red fighters and Red commanders. The power of choice. Thanks to KM, Filipinos rediscovered that they could unite and fight, and not just “magtiis” forever. Thanks to KM, Filipinos now realize that they are not the problem, but the problem-solver, that the problem is not the indolence of the Filipino but the “bulok na sistemang umiiral”, that national democracy is the antidote to such a rotten system. For these and more, and for its own defining choice to be a youth movement devoted to serving farmers and workers since 1964, KM is truly revolutionary and legendary in modern Philippine political history. First published as a Facebook status message, 30 Nov. 2014. Isang maalab na pagbati sa KM. Dito rin ako nagsimula. Mabuhay!